Channel delays: DFDS Dover-Calais, 30min delays on some services due to port movements. Eurotunnel: ‘earlier technical fault now resolved’. Passenger service back to normal but freight still 30min delay UK. DFDS Le Havre-Portsmouth 17:00 cancelled due to industrial action, customers transferred to Calais-Dover. Weather alerts: Amber alert for flooding north east France, heavy rain southern Germany and fog north east Poland. Weather: New: snow reported south central Switzerland. Rain France, fine and warm Mediterranean, fine and cold Scandinavia. Traffic: see @DE_Traffic, from 05:15BST. ELECTRIC CARS. 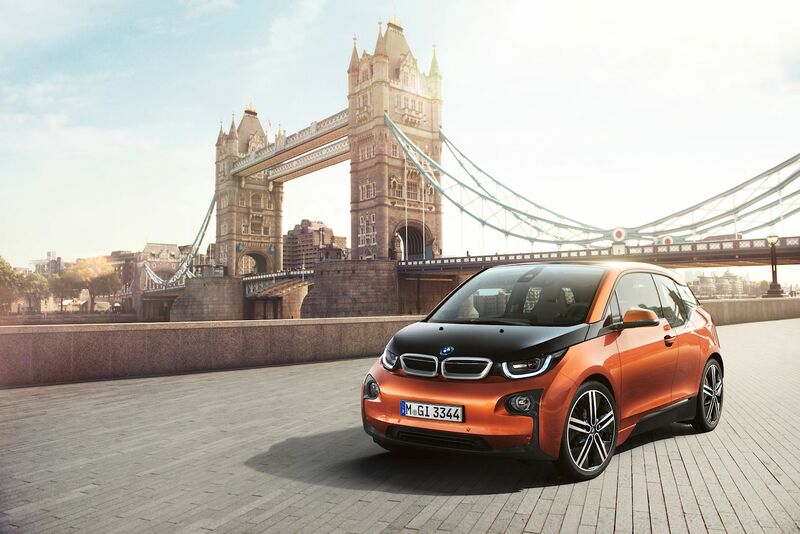 With 80% of the first year’s sales projections already sold – a month before it goes on sale – BMW is looking at expanding production of its all-new i3 electric car says Automotive News Europe. It’s an early sign that the company’s billion dollar bet on EVs is paying off, and/or that the 92% of other manufacturers which are at least hedging their bets on electric vehicles (according to a survey by KPMG) have missed the boat. While we’re enormously impressed by the comprehensive package BMW has built in and around the i3 – the telematics, lifestyle, interior – we’re thinking it’s one of those rare occasions when a futuristic concept car should have been radically toned down for production… Mind you, we’re yet to see one in the flesh. SPAIN. Police have unofficially recalibrated radar guns to their pre-2010 3% tolerance according to this week’s Sunday Times. The law was changed in 2010 so that only speeds more than 10% over the limit would be prosecuted. The biggest losers are likely to be rental drivers where fines – and an admin fee – will be automatically deducted. GERMANY. The mayor of Heidmuhle in east Bavaria has closed the border crossing over locals’ fears a spate of burglaries were being carried out from a village in the nearby Czech Republic. It flies in the face of EU Freedom of Movement rules and is set to be hotly contested at an upcoming regional conference, but is remarkably similar to threats made by a mayor in the Belgian town of Voeren recently – over drug sales in Maastricht – when he insisted he had the right to close the border in ‘cases of risk’. Also, Angela Merkel’s CDU party is under fire for receiving three €230,000 donations from members of the BMW-owning Quandt family days before the govt stood in the way of new EU low emission rules for cars. 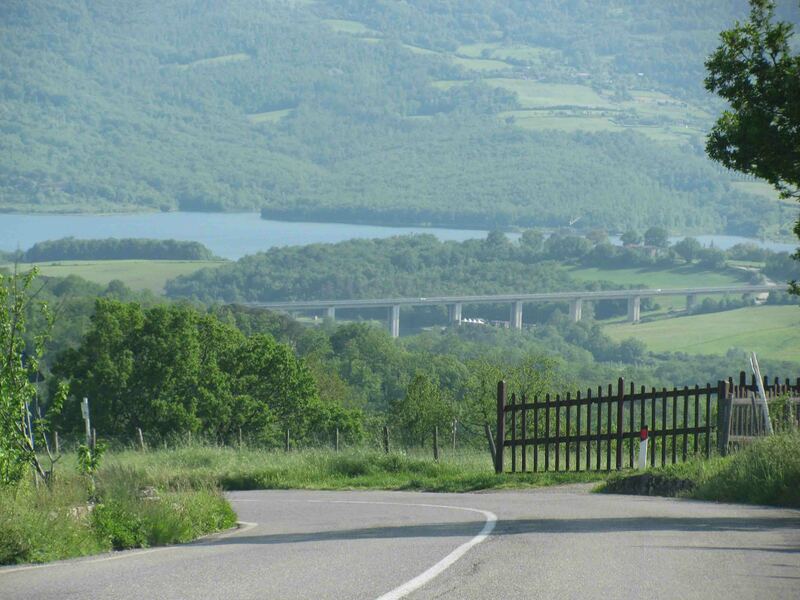 From the archives: A great road (SP65 Futa/Raticosa Pass), countryside (Tuscany), lake (Lago di Bilancino) and some impressive infrastructure. We’re happy. German Chancellor Angela Merkel is under fire for accepting a nearly 700,000-euro donation to her conservative party by owners of popular car maker BMW, so much so that the country’s president is being forced to clamp down on massive political gifts…………………………………. The Quandt dynasty, which owns 46.7 percent of the BMW auto concern, was reported on the German parliament’s website to have made the transaction to Merkel’s Christian Democratic Party in the first days of October. This was followed by a barrage of criticism from German opposition parties and NGOs, Germany’s The Local reports. THE QUANDT FAMILY IS CONNECTED WITH THE DRESDNER BANK. ALLIANZ IS ALSO CONNECTED WITH GOLDMAN SACHS. ” Peter the British “Knight” is a good example of how incestuous is the small circle of people who think they have the right to control, and destroy, our lives. Since 1995, he has been the chairman of Goldman Sachs International, the London arm of the New York-based parasite bank. From 1997-2009, he was the chairman of BP. And, from 2001-2009, he was a director of the Royal Bank of Scotland, a member of the Inter-Alpha Group. In addition, from 1989-1993, he was chairman of Allied Irish Banks, another Inter-Alpha bank. As you can see, for some eight years Sutherland was simultaneously at BP, Goldman Sachs, and RBS. That’s an indictable offense! GOLDMAN SACHS IS CONNECTED ALSO WITH WARREN BUFFET A FRIEND OF JACOB ROTHSCHILD AND EVELYN DE ROTHSCHILD. The same Warren Buffet, that is chairman of Berkshire Hathaway, ” agreed to purchase $5 billion in Goldman’s preferred stock “. 2) MERKEL IS ALSO A PUPPET OF DEUTSCHE BANK. ” A German official confirmed that Mr. Ackermann proposed guests’ names to the chancellery. Guests included executives from big German companies such as BASF AG and Siemens AG, as well as media publishers and some leading academics.